Hej, hej! Wow, this is only a year late! My bad. I had so many photos to go through and then I ran out of steam and then, uh, time got away from me... 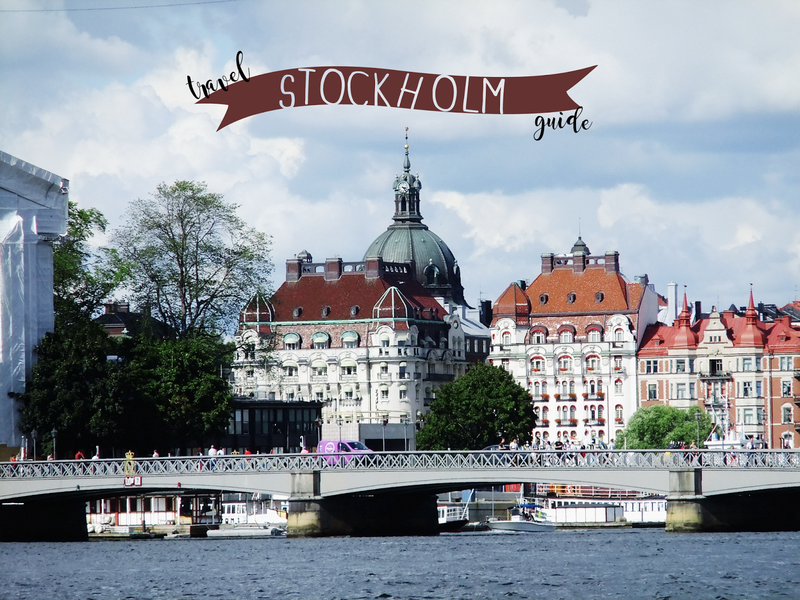 Anyway, I had such a wonderful time in Stockholm, and I was lucky enough to be there for an entire week, so I thought I'd share just what all I got up to! 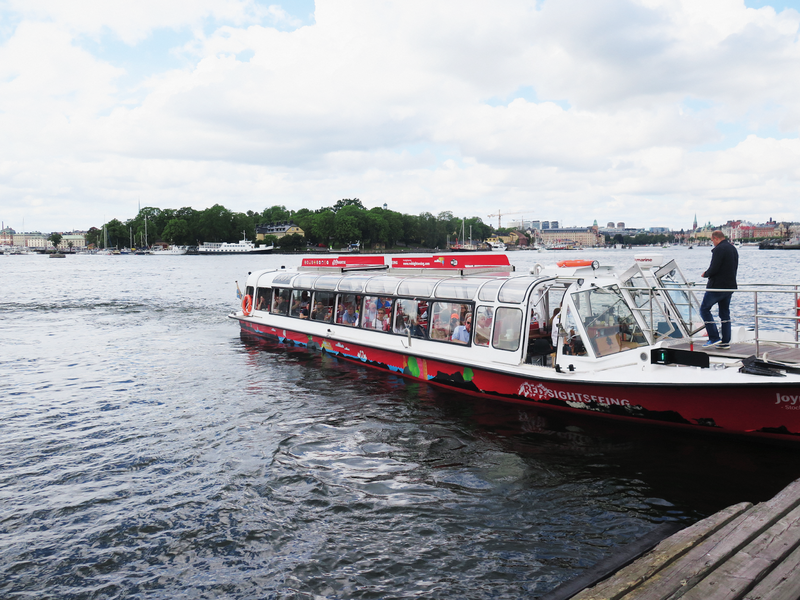 Boat Tour: Since Stockholm is made up of tons of islands, you almost have to take a boat to get anywhere. I'd recommend the Red Sightseeing Hop-On Hop-Off boats. They come about every 15 minutes, have a little audio tour you can listen to, and if you buy one ticket it's good for 48 hours! Note that they do stop running at 6 pm, which we unfortunately learned the hard way. // About $25 per ticket but good for 48 hours. 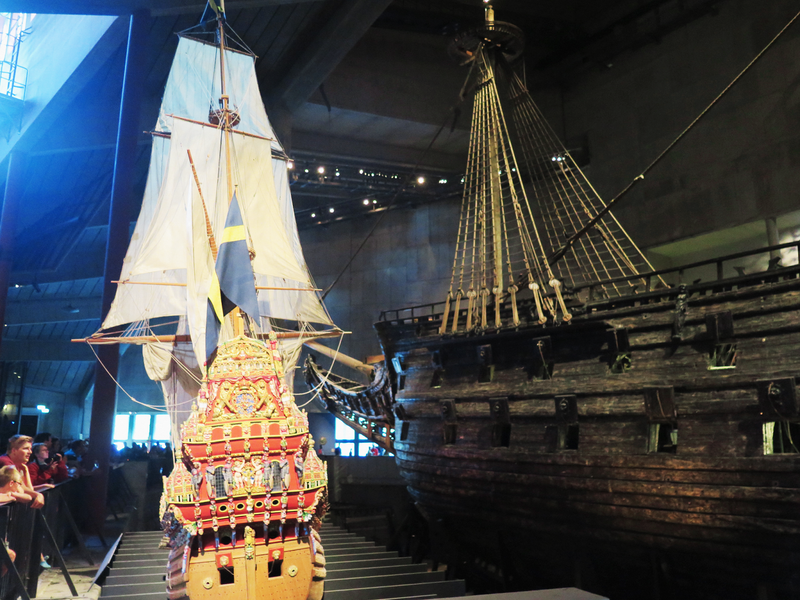 Vasa Mueseum: Before going to Stockholm we heard from everybody - friends, tour books, blogs - that the Vasa Museum was a must. It houses the oldest in-tact ship, which dates back to the 1600s. 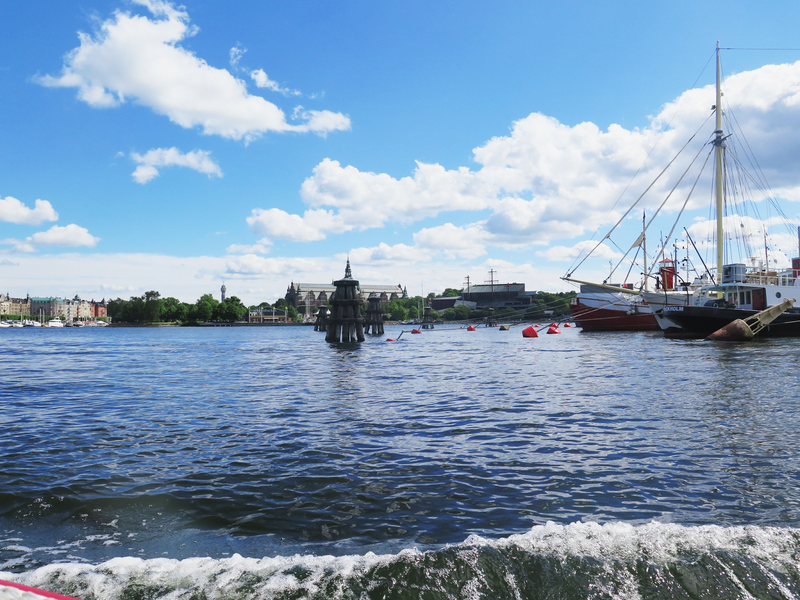 We went on our first day, taking the boat over to its little island of Djurgården and stumbling upon a very long line. Yep so be warned for that. It did actually move pretty quickly, and getting some ice cream while we waited helped! Once you get in it's about $12 for students and $15 for adults which isn't too unreasonable. The museum itself is built around the ship, with sails sticking out of the top of the building! You can walk almost entirely around, under, and above the ship and see all of its accouterments like armor, clothing, decorations, etc. I'm not exactly a maritime fan myself but it was still a very cool experience. 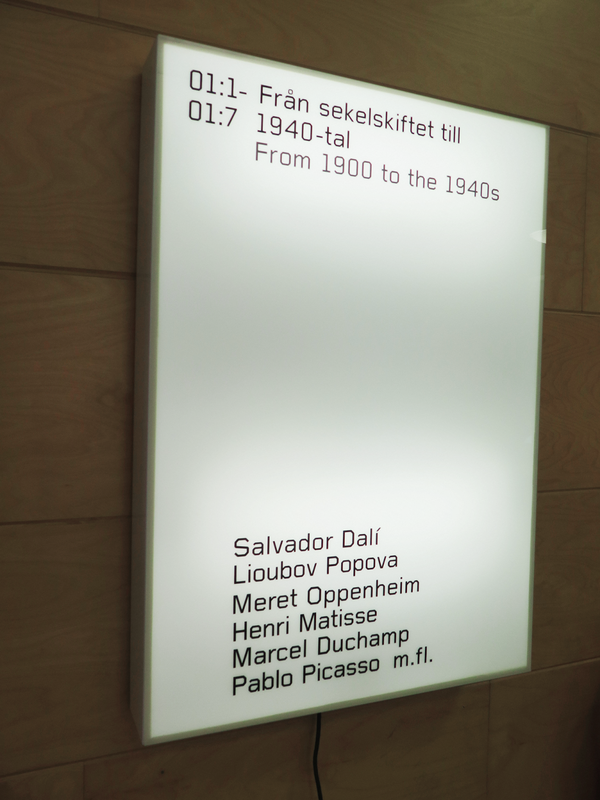 Moderna Museum: This one was my absolute favorite in Stockholm, although I'm a huge art history nerd and an even bigger one for modern art, so I may be biased. 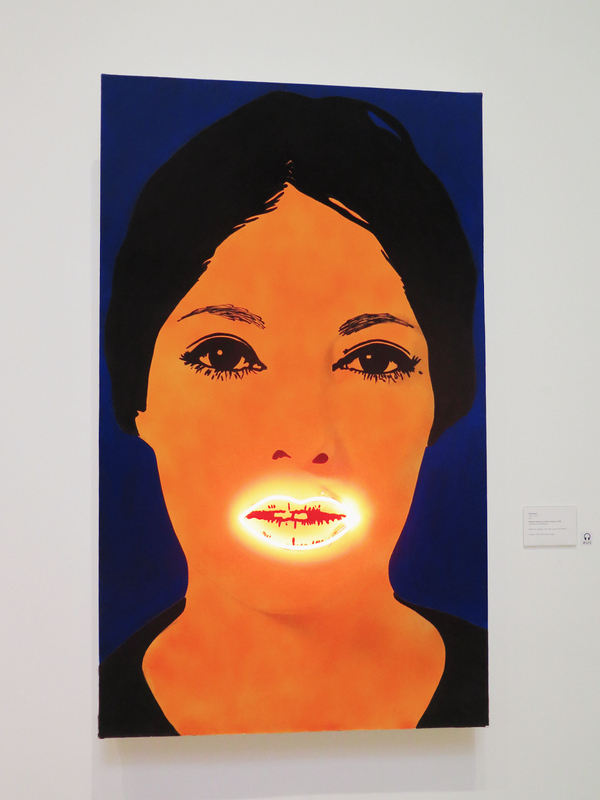 Still I'd say the Moderna Museet is a must. It's on its own fun little island and has colorful sculpture gardens and the collection itself is really impressive. They have everything from Picasso to Duchamp (and his infamous toilet), Dali, Bourgeois, Matisse, and more. I was in love, honestly. Admission is free except for the special exhibitions (which we skipped)! But be prepared to spend money on some kanelbullar (cinnamon buns!) and on their amazing offerings at the gift shop. 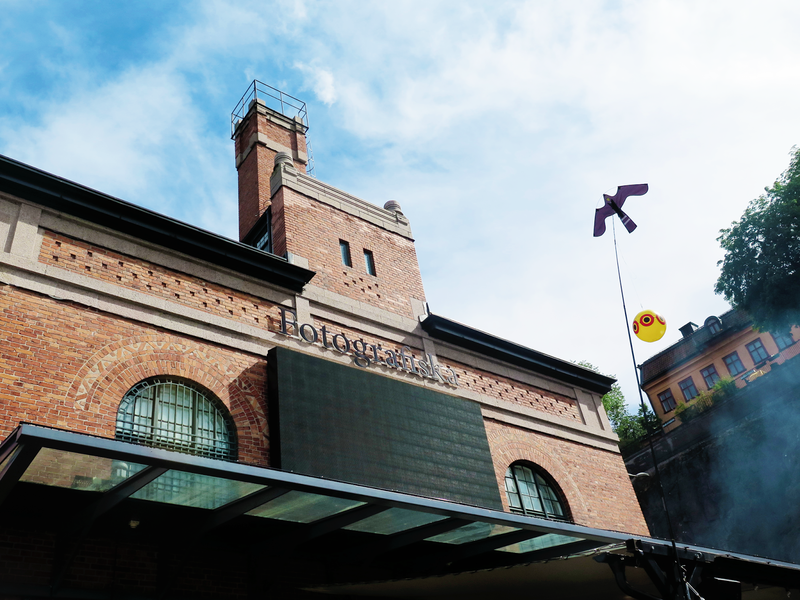 Fotografiska Museum: Another great art museum (sorry I just love them!!). 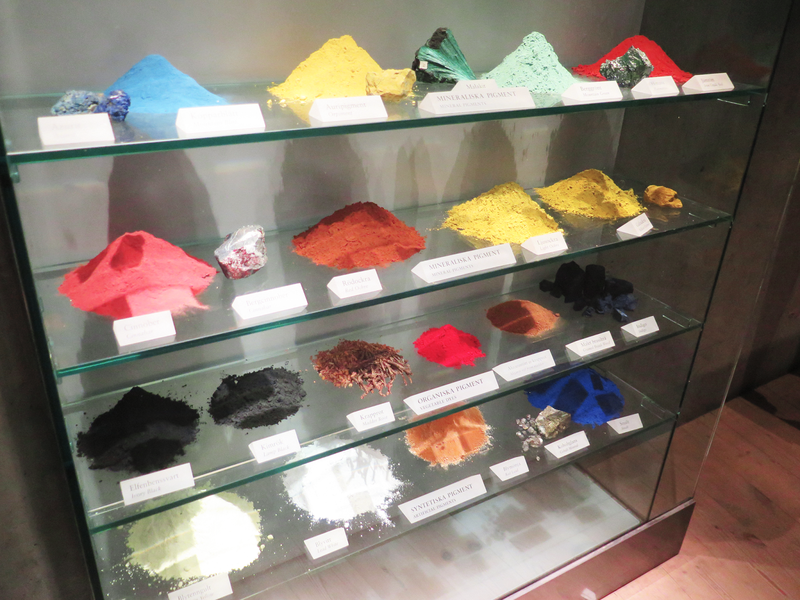 The exhibits here aren't very large, but they're certainly high-quality and varied. The main exhibit was a beautifully done presentation of photos of Greta Garbo, arguably Sweden's biggest star. They had her films projected on the wall and fun designs and facts about her life all around. On another floor we saw photographs of African animals who are endangered while on the other we saw portraits of Kate Moss and Keith Richards. So, ya know, you get a range. Tickets for students are $10 and $12 for adults. 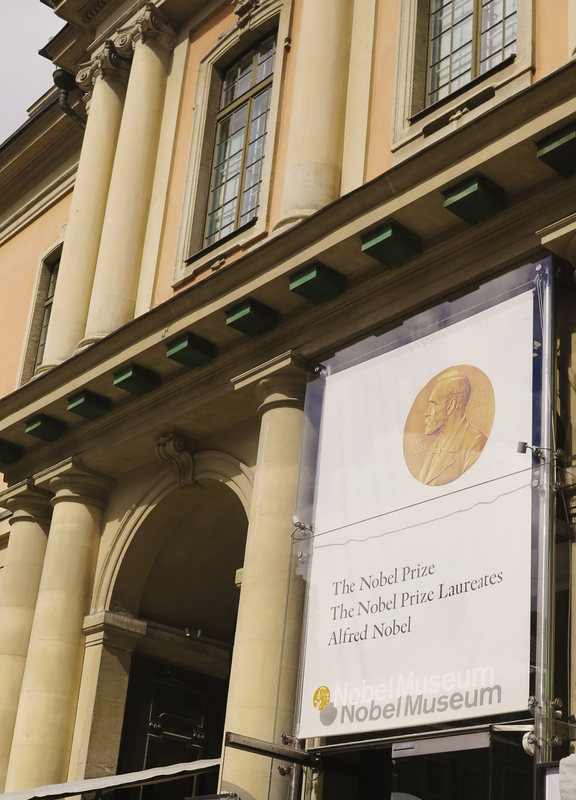 The museum is a bit more out of the way than the others, although it isn't too far from the Nytorget area. 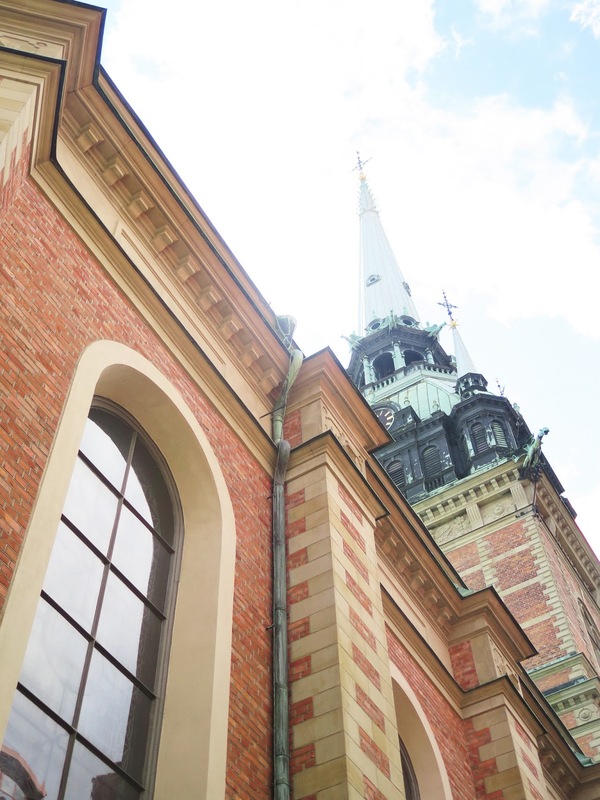 Gamla Stan (Nobel Museum, Church): Gamla Stan is Stockholm's Old Town. It's on its own island and it is so worth a trip (of ya know, ten minutes in a ferry). It has the quintessential cobblestone streets, grand town square, and plenty of old buildings to ooh and ahh at. 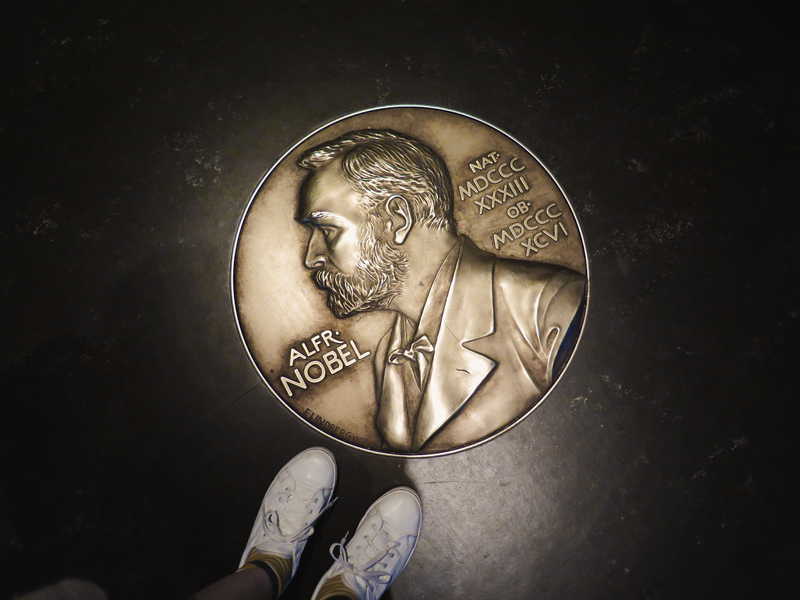 Plus it's home to the Nobel Museum, which was a very cool technology-integrated overview of the Nobel Prizes and all the recipients. Skansen: Skansen is a pretty funky place. 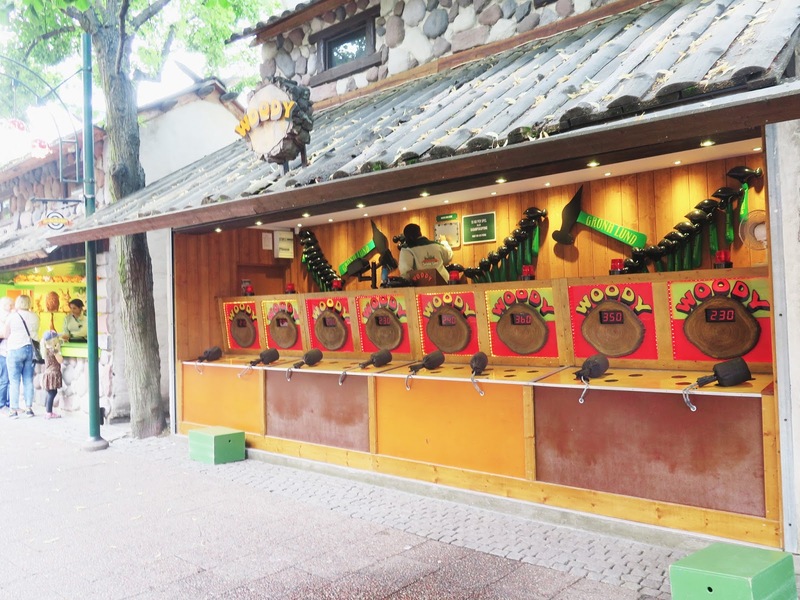 It's a zoo, public gardens, museum, historical reenactment site, popular wedding venue... Okay so its technical name is an "open-air museum." 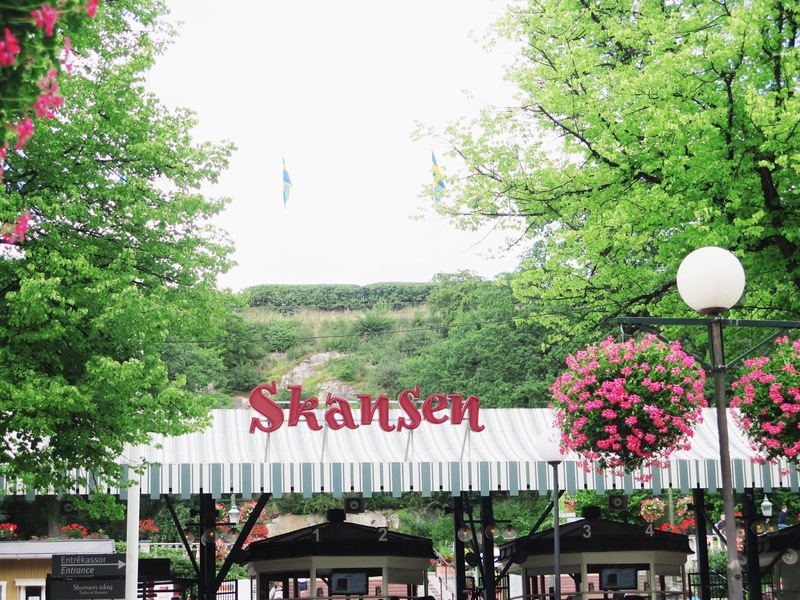 It is quite lovely to walk around Skansen (it's pretty big!) and go from seeing houses and gardens done up in the traditional 1800s style to moose and wolves to artisans blowing glass and making jewelry. Vasa Museum Cafe: We had a lovely little lunch at the Vasa Museum's cafe, which has outdoor seating overlooking the water. It's got great sandwiches, drinks, and of course those cinnamon rolls! Weiner Cafe: Hands down our favorite place to eat was the Weiner Cafe in the shopping area. It had amazing desserts, hot chocolate, crepes, and ham sandwiches. Plus the people-watching is too good! Urban Deli: I had looked up places to eat on TripAdvisor before we left and the Urban Deli was repeatedly recommended. 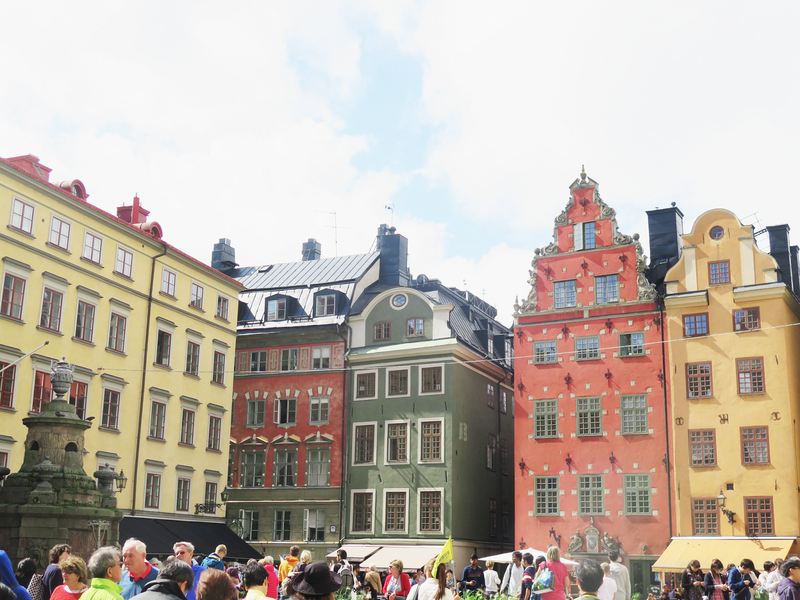 It was definitely trendy, and in Stockholm's hip neighborhood of Nytorget. 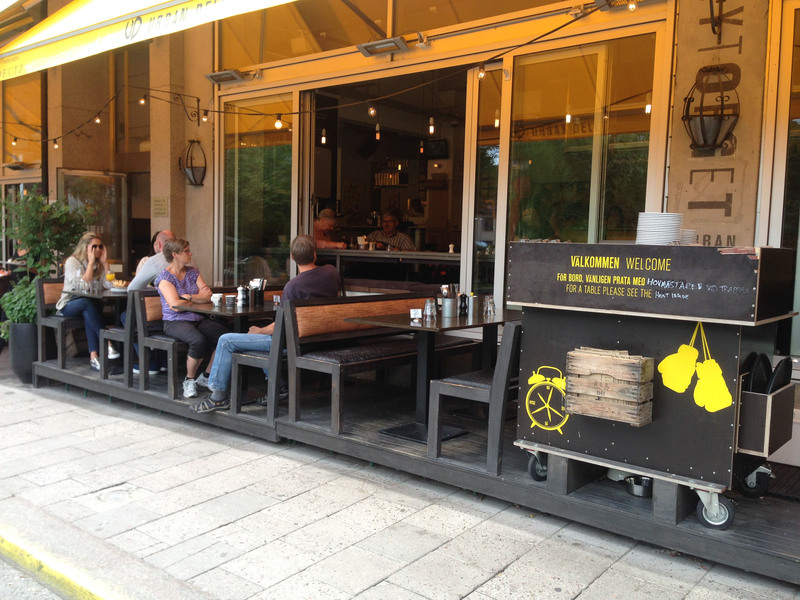 It has outdoor booths (which we opted for), tables, and an indoor section including a little grocery store. I'd totally see it at home in Brooklyn. To be honest I didn't love their food, except for the French fries! 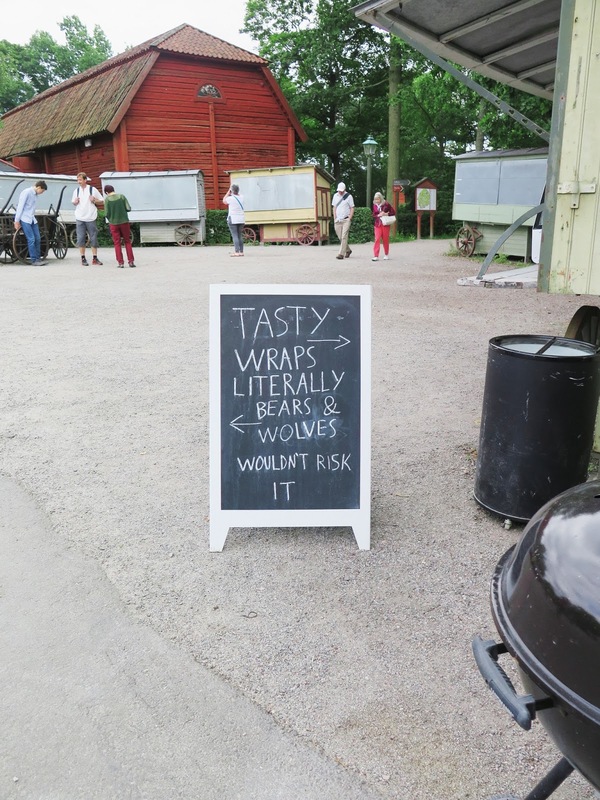 It's a combination of Swedish and Mediterranean foods. They also have funky hours where they're open but not serving lunch or dinner, just a small snacking menu. 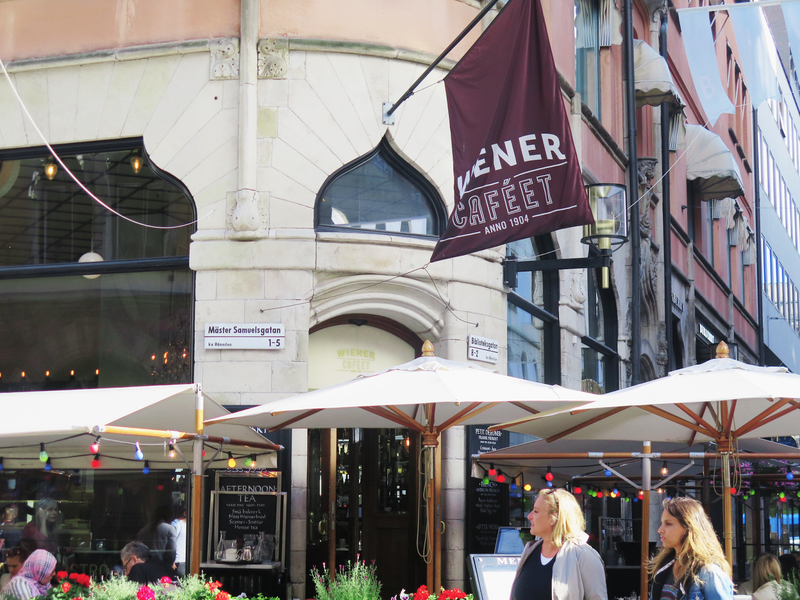 Grand Hotel's Cadier Bar: So I'm biased because we stayed at the Grand Hotel, and I swear we made sure to eat there at least once a day (more usually twice!). But they seriously have an amazing breakfast, lunch, and dinner. 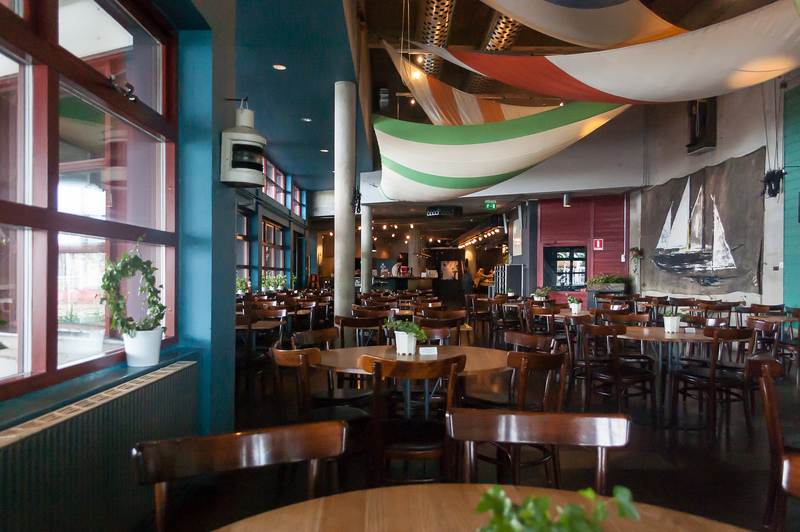 You can sit in their Cadier Bar and look out on the streets and the canal while enjoying a delicious club sandwich and of course a cinnamon bun for dessert! 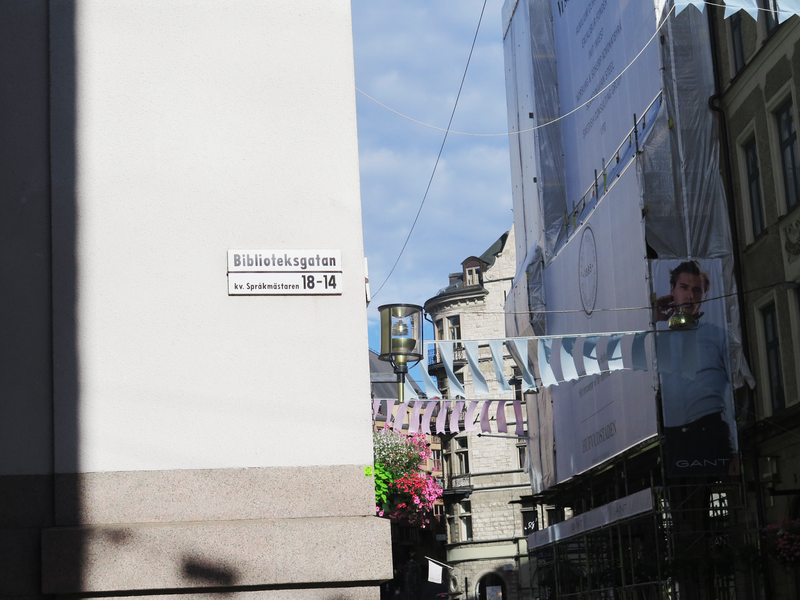 Biblioteksgatan: YEs finally okay the shopping!! Of course I was super excited to go to Stockholm, though I didn't know a ton about it - I knew it was a center for style. And so I totally searched for all the shopping places before I left. Biblioteksgatan (which is a street) kept popping up and was actually right near our hotel, so I knew I had to make a visit (or several). 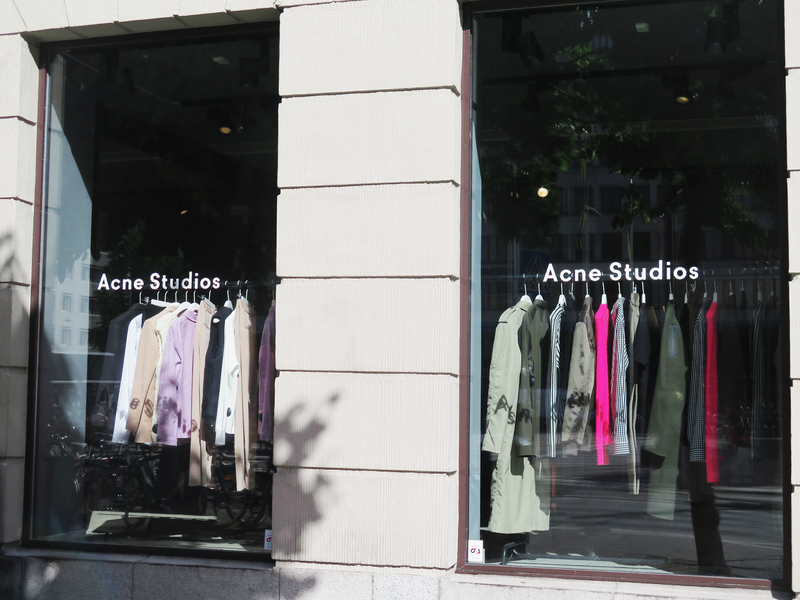 It seemed to be the most popular shopping area in Stockholm, and no wonder - it has Acne, COS, Zara, Chanel, Prada, & Other Stories, Swedish Hasbeens, and the list goes on! 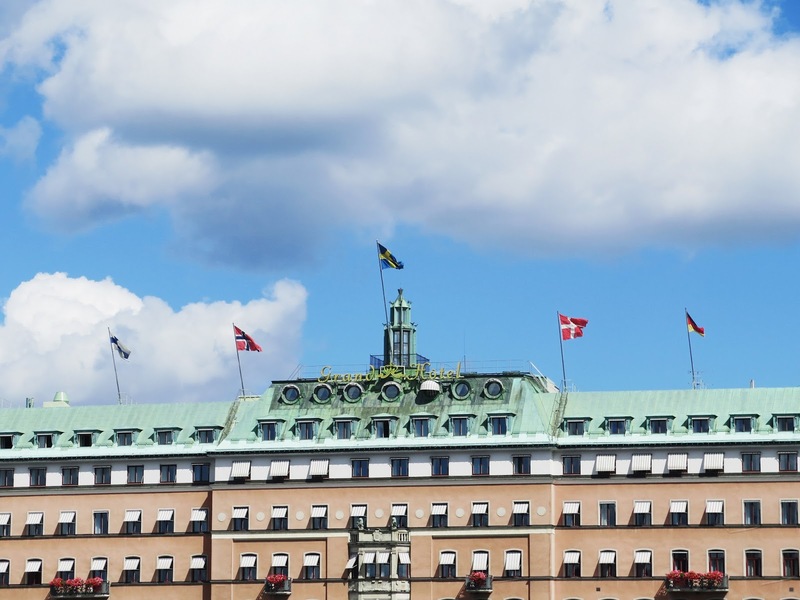 Obviously I avoided the higher-end stores in favor of the more high-street ones, COS in particular, which I was very happy to find out was founded in Sweden! Bibliotekstan is a pedestrian area that is near a park and has a ton of lovely little restaurants for those much-needed shopping breaks. 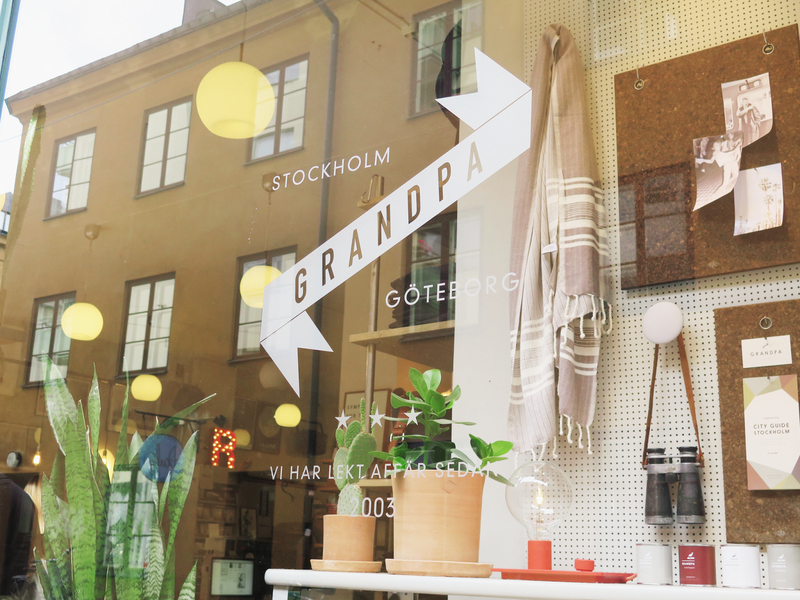 Grandpa: When my friend who studied abroad in Stockholm heard that I was visiting, she said "you'll like the store Grandpa." And was she right! Grandpa is a mix of just about everything cool - journals, home ware, clothes, candles, jewelry, books, knickknacks for your aesthetically pleasing Instagrams... I didn't actually buy anything because 1) I didn't see anything I absolutely needed and 2) it was a bit out of my price range. 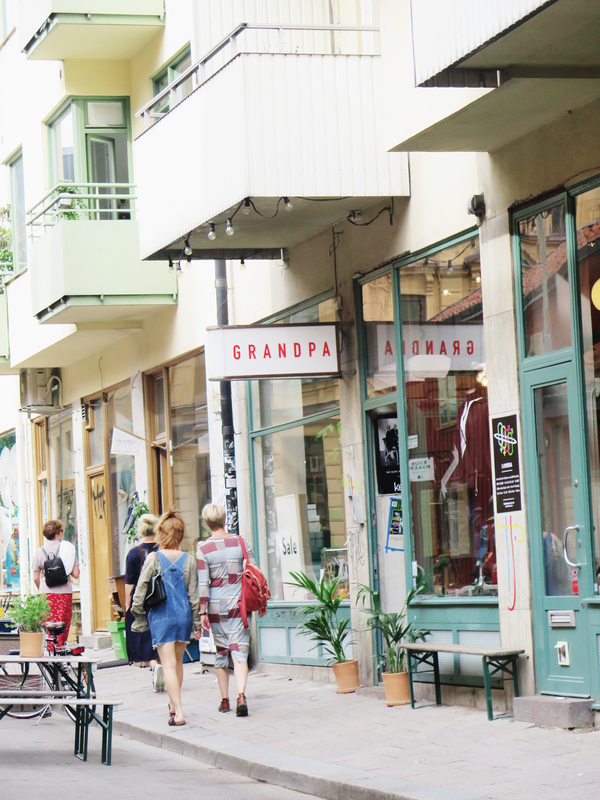 But it's definitely a fun store and it's right near the Nytorget Urban Deli, so worth a trip! 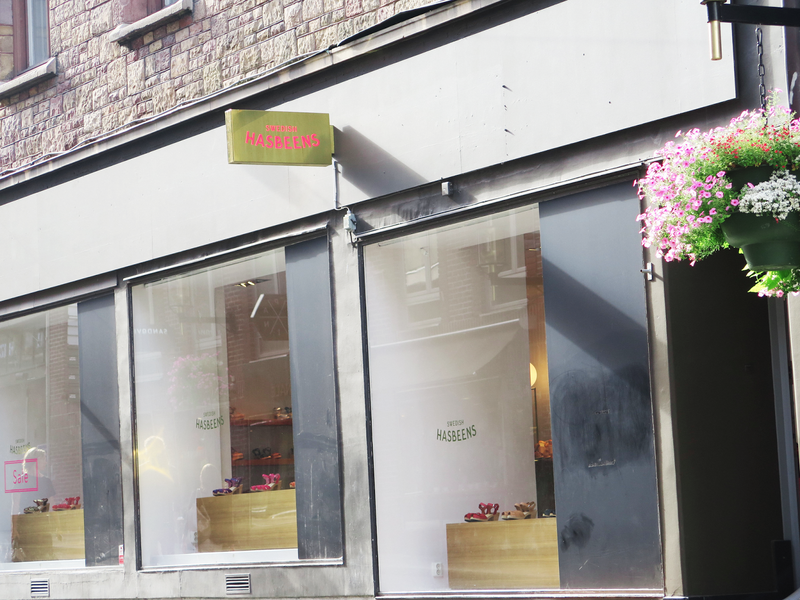 It's also right next to what looked like a delightful bakery. 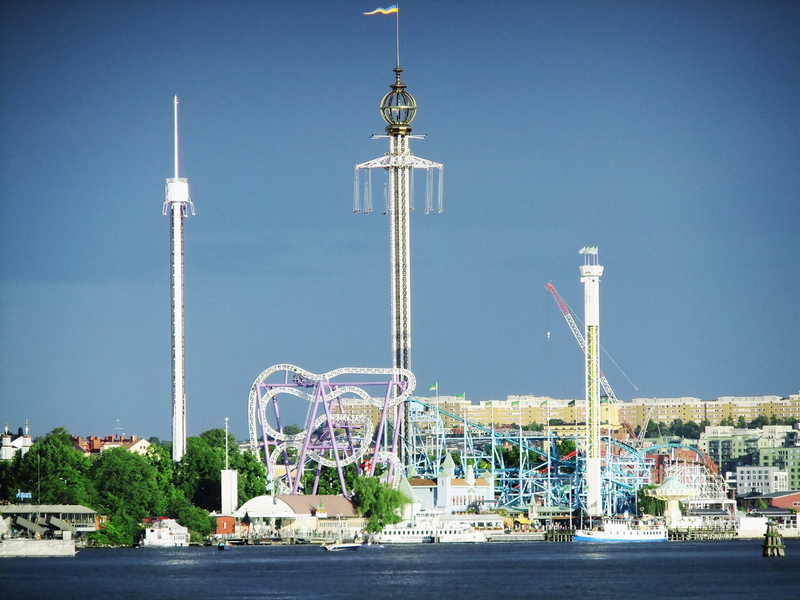 And that is my Stockholm roundup! I loved this city so much and would happily go back anytime, but it was especially lovely in the summer. If you go, have the best time and bring me with you!